Getting to see my family again is a perfect Christmas present!!! Here are a few pictures of us getting treats. 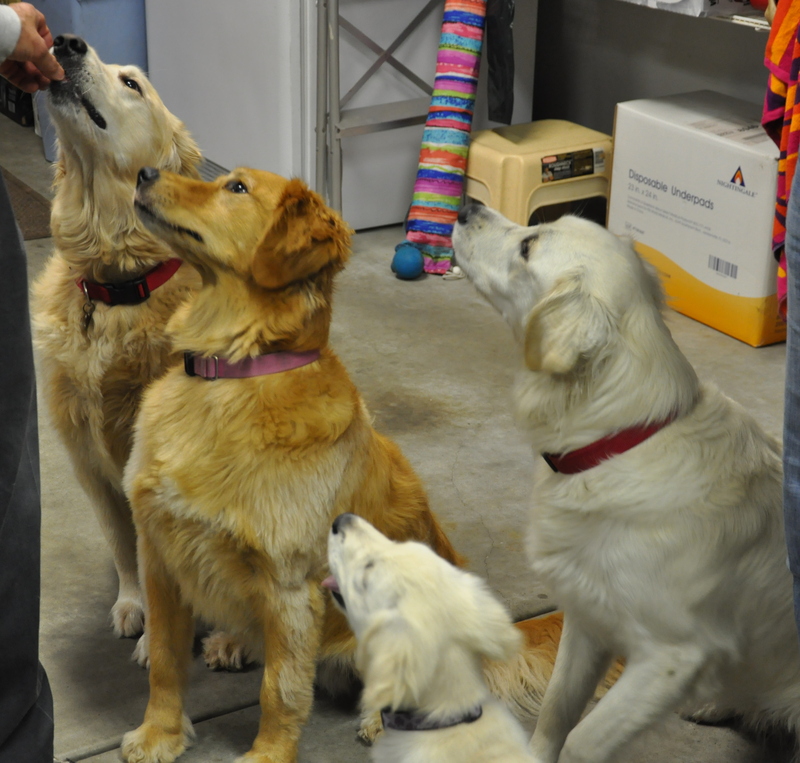 We are all very good, except sometimes I get so excited that I jump around and forget that I am supposed to sit for treats…. I don’t get one until I do sit, but in the meantime its pretty fun to jump around all over the other girls who are waiting patiently for their treats. We all got treats from multiple sources including the boys. We behaved pretty much the same for everyone…. Boys with all 4 girls. I love these pictures. Nala looks like she can barely contain herself.